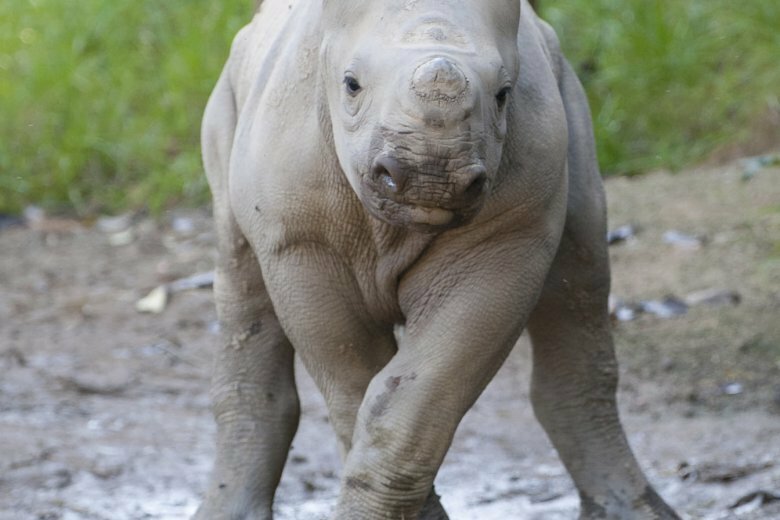 CINCINNATI (AP) — Officials at an Ohio zoo say a 1-year-old baby rhinoceros has bitten the tip of a man’s finger during a behind-the-scenes tour at the facility. Cincinnati Zoo spokeswoman Michelle Curley says the eastern black Rhino named Kendi nipped the man’s right index finger during a visit to the zoo Tuesday. Curley says the man was treated for the minor injury. The zoo didn’t release any additional information. Kendi was born at the zoo in July 2017. Zoo officials have said his name means “the loved one” in Swahili. Eastern black rhinos are native to eastern and central Africa. The species is considered critically endangered due to poaching and habitat loss. Wildlife officials have said fewer than 5,000 black rhinos remain in the world.